Refresh yourself with 2 days of networking with your peers and step by step course instruction on radiation oncology coding, reimbursement, documentation and compliance. Our interactive seminar covers a broad range of topics to meet the greatest needs of our attendees including: legislative & reimbursement updates, proposed changes for CY2020 and beyond, physics & dosimetry, treatment management & delivery, ICD-10 coding, general & modality specific billing including SRS, SBRT, Brachytherapy, IMRT & IGRT, best practice standards, payer issues and compliance. The goal of the seminar is to teach participants techniques of proper charge capture, recognition of proper documentation and a full understanding of coding for radiation oncology. Attendees will learn how to bring their billing departments into full compliance. The seminar content is beneficial for hospital and freestanding center managers and staff, nurses, physicians, administrators, billers and coders, therapists, physicists and dosimetrists, and anyone involved in the clinical and/or business aspects of radiation oncology management. You will receive a digital version of the latest release of Radiation Oncology: Coding, Billing, Documentation and Compliance by Linda L. Lively MHA and James E. Hugh, III, MHA of American Medical Accounting and Consulting (AMAC®). Radiation Oncology Certified Coder Exam (ROCC®) will be offered immediately following the seminar. Click Here to Register for the Exam. Marvel at the majestic Hudson River or explore the city lights of Manhattan. Visit Sleepy Hollow, The Rockefeller Estate and the historic landmark, Lyndhurst or hop on board your train at the Metro North White Plains station just minutes (1 mile) from the hotel for a quick trip to take in the end of summer sights and sounds in Manhattan. Broadway awaits! Pamper yourself with some retail therapy. The most prestigious names in retail are located just steps from the hotel at the Westchester mall. 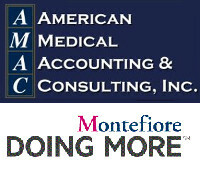 During the AMAC/Montefiore Health System seminar, enjoy complimentary continental breakfasts Thursday and Friday, lunch on Thursday and a welcome cocktail reception Thursday evening. CEU certificates will be provided following the end of the final session. No partial credit will be awarded for attending less than the designated activity planned time. Those participants leaving before the end of the final session will not receive CEU certificates. Keep in mind, this is a stipulation from the accrediting entities not an AMAC ® rule. The cost of the seminar is $995 per person. Full prepayment is due 30 days prior to arrival. Valid payment methods include money order, wire transfer, any major credit card, or company check. Registrations of 3 or more attendees: $100.00 Discount per attendees. ROCC® Members: $100.00 Discount available. To Register by fax, Click here to download the seminar registration form. NOTE: Please call us at (770) 693-2622 to confirm that your check and/or faxed registration form has been received. Register By Phone: Call Seminar Staff at (770) 693-2622 or (770) 693-6031. Cancellation notices must be sent in writing (email accepted). If notice is received less than 4 days prior to seminar date, we will charge a 100% administrative fee.